In 2050 mountain regions in Switzerland are going to have established freeride areas which are accepted by all stakeholders to ensure a sustainable and healthy freeride culture. Freeriding in the woods is a popular activity amongst skiers and snowboarders. Negative effects on the environment are responsible for critical voices from different stakeholders of this issue. The goal of the vision is to sensitize all stakeholders and to find a solution everybody is happy with. Happy Stakeholders and a healthy interaction lead to a positive vibe within the community. The vision needs to be achieved by changing the stakeholder’s mindset in a positive way rather than install banning signs and completely shut down freeriding by a countless amount of protected areas. Monday, March 18, 2013. 7.01 Samedan. I open up the curtains of my room, student apartment nr. 7 in the Chesa Punt. Clouds are hanging low around the Bernina mountain. Light snowfall has covered the Engadin in a gentle white blanket. The fresh snow soacks up every sound, a calming quietness surrounds the whole valley. Sleepy I close the heavy, dark blue curtains again and lay myself back into my warm and cozy bed. Unclear thoughts drift away and I doze off again. A shrill ring rips me out of my doze. My black Iphone is blinking, rattling and whistling. I try to reach it and hit my head on the sharp edge of my nightstand. Nadia, my classmate is on the other end of the conversation. With an excited voice she keeps talking foolishly about heavy snowfalls, skilifts and Maloja. Without even knowing why and how I kind of managed agreeing to meet outside on the parking lot in 30 minutes. Very confused I go back to bed. Wwat day is today anyway? Monday. On Monday I have language classes. Spanish and English. I tend to doze off again but like a slap in my face one word that Nadia said makes me jump out of my bed. POWDER! School, Spanish and English are quickly forgotten. I throw my blanket into a corner of my room. There is no time to take a shower. On the way to the kitchen I try to put my ski socks and undergarments on backwards. Bacon and eggs are fizzling in the frying pan. With my last bite of eggs sunny side up I look out the window and see Florian and Nadia walking to the parking lot. I burn myself with a mouthful of hot coffee. I tumble out the door only half dressed, the coffee is warming me from the inside. Dragging my Snowboard, trying to run with untied Snowboard boots I get to the parking lot and we load up the car. We drive up towards Maloja and pass St. Moritz. The snowflakes are getting bigger and denser. Florian put his Müesli into a plastic cup and finishes his breakfast during the car ride. The road to Maloja is covered in snow, snow plowing cannot keep up with Mother Nature. Disillusion is huge as we roll up to the ski lift in Maloja. It is closed. A worker of the mountain railway is trying to free his way from the parking lot to the ski lift hut with a shovel. With two other early birds we are standing in powder up to ourk hips in front of the closed down mountain. The shoveling ski lift worker Paolo informs us that he is not sure if he can run the lift today as he reaches the door to his office. The danger of avalanches is very high he adds, opening the door of the machine room. 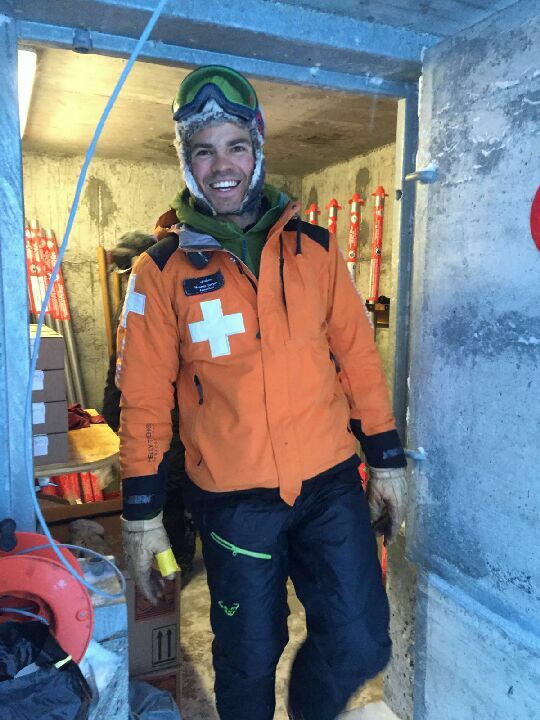 His co-worker Mauro drove up the mountain with the snow-groomer half an hour ago to check the conditions. While we are waiting for the assessment from Mauro, the snow keeps falling and the local freeride-elite from the Engadin is gathering around the ski-lift. With lifted hoods, deep grommets, big grins and a lot of hope about fifteen snow lovers are waiting for the red snow groomer to come back from his exploration tour. After an hour of waiting Mauro is coming down the mountain plowing through the snow and pronounces the long awaited message: “I am opening the ski lift, BUT, the danger of avalanches is very high. The slopes remain closed and you guys ride only in the woods on the left side of the lift!” “Pista chiusa, solo bosco.” He adds with an accent for the Bergell. The old button lift chatters as it gets going, everybody puts their avalanche transceiver on mode ”find” and with a thank you towards Mauro and Paolo we make our way to the top of the mountain. Mauro has plowed us an entrance into the woods so we can make our way safely into the trees. Right on top of the tree line we tighten our bindings and boots one last time, nobody talks a lot, everybody wishes everyone good fun and after a quick high five with Nadia and Florian I point the nose of my snowboard towards the valley, it sinks into the deep powder, picks up speed and pops right back up. Gravity does its thing, I get faster and faster, I float on top of the snow. Two turns, my hands stripe the snow, everything is silent. Security. I can see my line in front of me through the trees. Tunnel vision. The fear of avalanches vanishes. Safety. My movements are effortless, everything happens thoughtlessly. The snow on the big rocks forms soft pillows. Jump. Freedom. Fountains of snow shoot up to the sky with every turn I make. A big grin covers my face. The morning passes by quickly, each and every decent lasts ages. During the uphill with the button lift, we hear warm laughter and shouts of joy, the descents are heavenly quiet. On the way to the car our legs are heavy, our smiles effortless and jokes are flowing. In the afternoon we manage to get to school on time. Florian an myself sit down in class next to each other. Our eyes are glowing, school is not important today. The following model of sustainability captures all important aspects that need to be in balance to warrant a sustainable lifestyle. It follows the basic principle of sustainability: Do not cut down more trees than can grow back, so the the woods do not deminish. It symbolizes a house, that needs to be in balance so it can give shelter and we can keep living in it. 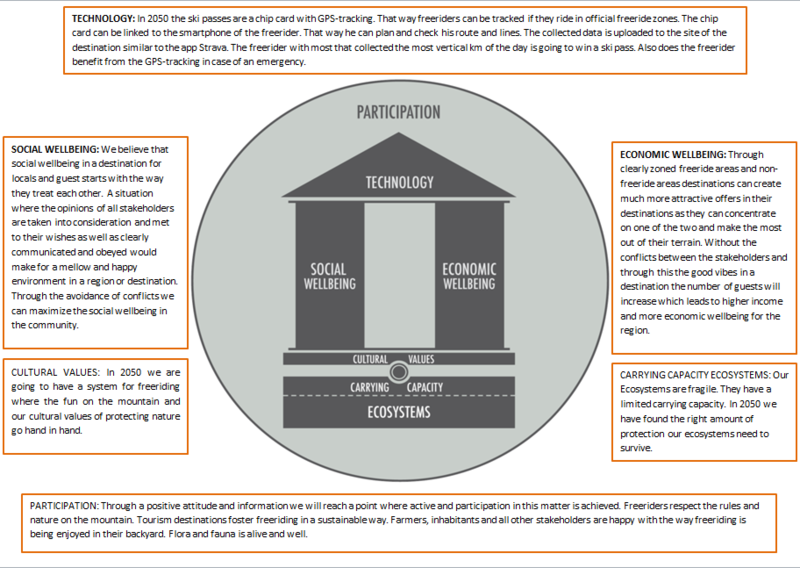 In our case the model is adapted to our issue of freeriding without threatening ecosystems, our social wellbeing or economic wellbeing. We also ask the question: „What technologies might be available to use in 2050 and what do we need to do to get the participation we need from all the stakeholders. The situation today is not what we want it to be like in 2050. Today different opinions about freeriding exist and a lot of different stakeholders are involved. For some people nature is a symbol of rest and calmness – for humans and animals. But also it can be the source for adventure, challenges adventure seekers and gives a feeling of freedom. Already we can see a conflict of user groups. Nature is habitat for a lot of animals and plants. Most animals have adapted to the harsh conditions in wintertime but it is still a battle against death for them, every day in the snow. It is a challenge for them to find enough food with as less movements as possible, to save energy. Therefore protected areas for wildlife exist, where the animals can live in peace. The maps of the protected areas with the different zones are available online by the “Amt für Jagd und Fischerei”. Some people do not feel to observe these restrictions – yes it is unbelievable for us. But why is this case? We think it is because some of the freeriders don’t know exactly the reasons for these protected zones or they just don’t care. At this point the sensitization starts. Furthermore there are other parties who are against freeriding or freeriders who do not interact well with these parties. We would like to try to find a way to harmonize these relationships. The needs of all stakeholders are very different. All of them are more or less interested in what is going on and almost each party has another opinion to the topic. Each stakeholder has his ow goal in this case. Exactly these goals we need to find out. These needs have to be worked out by secondary research or with the aid of interviews and conversations. After determining the needs of the involved stakeholders, we have to find a solution where all of these needs are met. That means we have to find a sustainable solution to reach our vision of 2050 which makes all stakeholders happy. An acceptable solution has been found and is ready to be implement. Before the solution can be implemented we have to inform and sensitize all involved stakeholders. Through information, we ensure that all stakeholders are satisfied. The third step could for example be implemented during a free dinner with all stakeholders within a touristic region. Now, after the happy party starts the work that is necessary to implement the measures. They want to have fun on the slopes. They enjoy the mountains and nicely groomed slopes. They want to be safe on the slopes and enjoy sunny days out on the mountain . A freerider (skier or snowboarder) wants to ride fresh snow. Pristine powder is what he is looking for. 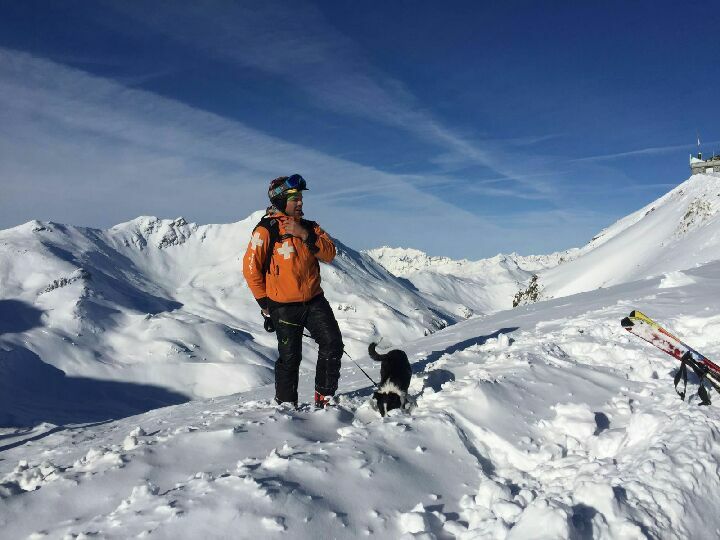 He is usually an advanced skier or snowboarder, is not only skiing once a year but is rather living his hobby through a particular lifestyle. He is not really interested in groomed slopes when there has been a recent snowfall. He uses the cablecar but also hikes up to peaks to get to remote places to find unspoiled slopes. He likes to ride the woods as it is safer after heavy snowfall and the sight is better through the contrast of the trees when the weather is bad. If animals are disturbed a lot, they want to escape and that needs a lot of energy. This leads to a negative energy balance, less offspring, more illness and in the worst case to death. The deeper the snow the higher de energy consumption on the run. The wildlife is especially sensitive in their rutting time, in the presence of young animals, in the twilight and if a retreating area is missing. Farmers are frequently hunters too. This party supports the wildlife protection zones and wants that these zones are respected. They are mostly nature-related people and they want to ensure calmness and rest for the wild animals. Tourism organisations as destination management organisations and want to provide different kind of offers. Freeride offers as well. They want to develope tourism within their region. They also want to protect the environment as landscape, nature and experiences are sold in tourism. These stakeholders want to operate the mountain railways successfully and want to satisfy the needs of their guests. They have to warrant security on the slopes. Off-piste every guest is responsible for himself. It does not matter much to them if there are protected areas or not, because their core business are perfect slopes. Although protected areas limit the way they can build their slopes. They know exactly what a protected zone is with all the background information. Ski schools live from earnings of guided ski tours on slopes and off-piste. They want to teach ski skills and are responsible for the security of the guests. They think protected zones have to be observed. On the other hand it should not have too much protected areas. It would destroy their daily business, if freeriding is not possible anymore. There are usually several ski and snowboard shops in a region and the opinions and needs differ from each other. Some shops sell a lot of freericde equipment and would love to see less protected areas and more freeride zones because it might help their business. There are also shop owners sympathize with environmentalists and want to protect wildlife. Others simply do not care. Within these stakeholders are different needs detectable. Inhabitants are in most cases skier or snowboarders as well. That means these inhabitants want to have fun and security. Some inhabitants are for the protected areas and some do not care about and others want to remove them. After exploring and assessing the needs of the relevant stakeholders, we believe, that specific freeride destinations in Switzerland is a great idea to address the issue of making freeriding in the woods more sustainable. It is important to choose the destinations that have such areas strategically throughout Switzerland. Not every region gets the same amount of snow every year. If for example the weather mostly comes in from the south, the Engadin gets a lot of snow. So all possibilities of incoming snowfall must be covered. Because what do freeriding zones help if only the off limit areas have snow? Through these freeride destinations we give the snowboarders and skiers the opportunity to do what they love legally and wih a good feeling. In return we hope they respect the ski destinations where freeriding is not allowed in the woods. Through that we sacrifice a small amount of our pristine nature in limited areas to effectively protect a larger amount of nature for the greater good. Also do we see a great opportunity for specialization for ski resorts with these freeride areas. 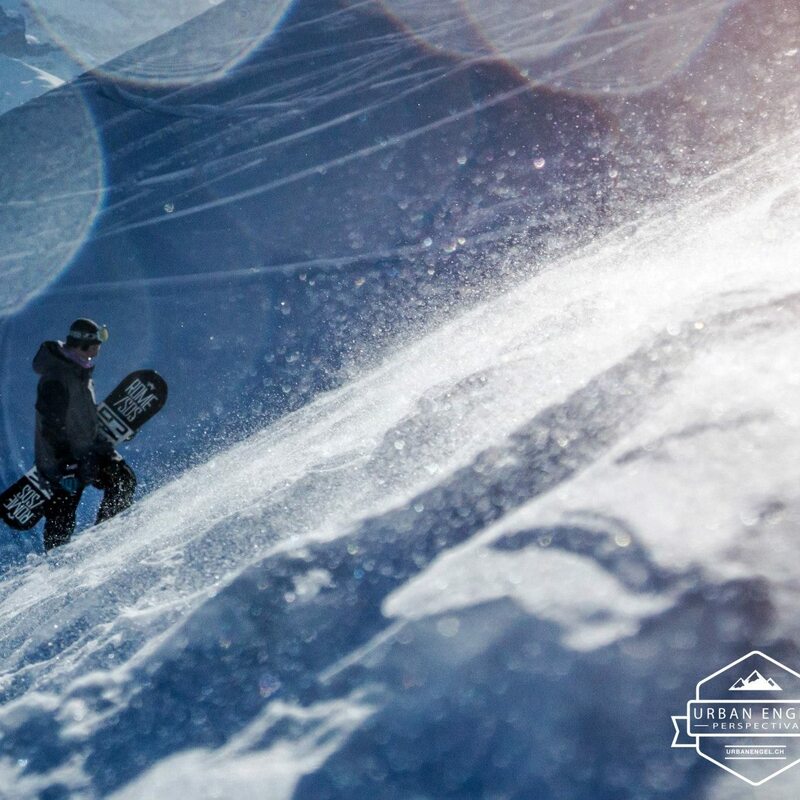 Freeriders have special needs for equipment, safety on the mountain, restauration and lodging. Specifically it means that they need shops where they can buy and rent gear, have access to mountain guides and find untouched mountains without huge restaurants and big terraces or huge snowmaking infrastructure. As well as lodging and cable cars that are able to service their guests early in the morning so they can get up the mountain and have fun. We believe that small ski resorts that have problems to follow suit with the big resorts and their in investments in new technology. Freeriders do not need the newest cable car, they need unspoiled mountains. On the other hand ski resorts that specialize on families for example do not have to fear the danger of a freerider triggering an avalanche above a ski slope. The next step no is to promote the idea of freeride zones, sensitize the stakeholders and implement the freeride zones until 2050.